Bridget Seay was born and raised in Augusta, Georgia. After spending over 15 years in customer service and 9 years in the corporate world, Bridget experienced the challenges so many faced during the recession. In 2009 when the company closed, she was laid off and eventually experienced the hardship of a foreclosure. 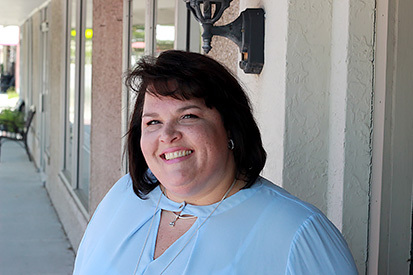 Bridget moved to the Savannah area in 2010 and in 2012 decided to fulfill her dream of becoming a real estate agent. For the last 5 years she has focused her career on helping other home owners not experience the same loss by assisting them with leasing their homes. This has become her true passion and focus in life. Bridget is the mother of two smart and beautiful young woman, Alexandria and Allyssa. Her fianc?, Ross, is a utility supervisor. They live on a farm in Effingham with their two dogs, Ruby Dawn and Sparky. Bridget works under a strict code of integrity and honesty. She will work hard to provide the guidance to reduce stress, save you time and assist you in making an informed decision. Schedule a pre-market consultation today and let her advised you on what steps to take to prepare your home for the rental market. Bridget knows what it takes to get your home rented!